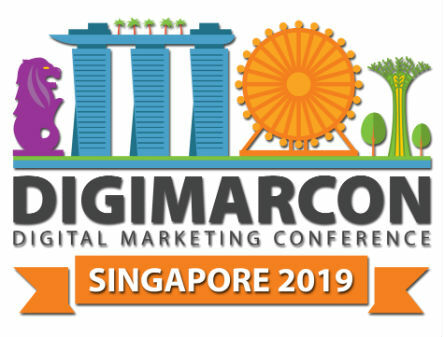 DigiMarCon Singapore 2019 Digital Marketing Conference & Exhibition will be held from September 18th to 19th, 2019 at the luxurious Marina Bay Sands Expo and Convention Centre in Singapore. Whatever your goal is; reinforcing customer loyalty, improving lead generation, increasing sales, or driving stronger consumer engagement, the DigiMarCon Singapore 2019 line up has been specifically designed to help you develop your audience. At DigiMarCon Singapore 2019, you will receive all the elements you need to achieve digital marketing success! Conventional thought will be challenged, new ways of thinking will emerge, and you will leave with your head and notebooks full of action items and ideas to lead your agency / team / account to even greater success. Be a part of DigiMarCon Singapore 2019 and discover how to thrive and succeed as a marketer in a rapidly evolving digital world. The US-led global campaign against Chinese telecoms equipment giant Huawei has gained traction in some countries in the Global North. 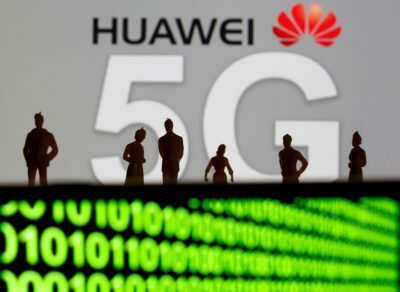 US allies such as New Zealand, Australia and the United Kingdom have all raised concerns about the pliability of Huawei’s 5G network for espionage and surveillance. But little unease is apparent in Africa, with potentially serious consequences for the continent’s political development. Concerns hinge on China’s 2017 National Intelligence Law that mandates private companies with ‘headquarters in China to cooperate with intelligence services’. In addition, the arrest of Huawei executive Wang Weijing for espionage activities in Poland has added fuel to the fire within the European Union. Despite allegations that Huawei could deploy its network to spy for the Chinese government, many African countries are still seeking to attract investment from the company in their information communication technology (ICT) sectors. Africa’s ICT sector needs massive development and Chinese telecoms vendors such as Huawei and ZTE have ‘built most of Africa’s telecoms infrastructure’, according to a 2017 McKinsey report. Africa’s low internet penetration — standing at 35.2 per cent against the world average of 54.4 per cent — makes the continent a favourable destination for Chinese telecoms infrastructure. Huawei has already partnered with the Exim Bank of China to invest more than US$1billion in digital infrastructure across several countries in Africa. Huawei Marine is building the Pakistan East Africa Cable Express internet system to link South Asia with East Africa and beyond. The Chinese telecoms vendor is also currently holding trials for a rollout of 5G services with Africa’s largest telecommunication firms MTN, Vodacom and Safaricom. It has already partnered with Rain, a South African network operator, to launch the first commercial 5G network in South Africa and probably the first on the continent. African governments are less concerned about the security implications of Chinese digital infrastructure, despite allegations that Chinese intelligence has spied on the African Union’s headquarters in Addis Ababa. Suggestions that Huawei’s 5G network could be used for espionage and surveillance weighs lightly on many African countries. The Malawian Minister for Communications and Technology reinforced this attitude at the 2019 Mobile World Congress in Spain, telling media that ‘security is a matter of concern if it has been proven. But for now, we just hear speculations from the United States about Huawei over questions of security’. Two factors account for Huawei’s continued attractiveness in Africa. First is the economic viability of Huawei’s network — it is considered a cheaper source of ICT infrastructure than those of western companies. Second are bilateral relations between African countries and China gaining momentum over time. China plays a vital role in the economies of many African countries, potentially persuading them to extend such engagement to the ICT sector. But the cavalier attitude of African political actors could open opportunities for sophisticated espionage and surveillance. China promotes a conception of the internet known as cyber sovereignty, where the state has absolute control over the internet. This approach differs significantly from the West’s conception of the internet as a borderless global community. Chinese President Xi Jinping provided a detailed explanation of cyber sovereignty at the second World Internet Conference in Wuzhen, China in 2015: ‘Sovereignty covers all aspects of state-to-state relations, which also includes cyberspace. We should respect the right of individual countries to independently choose their own path of cyber development and model of cyber-regulation and participate in international cyberspace governance on an equal footing’. The implications of China’s cyber sovereignty are numerous but the most significant is censorship. This was highlighted by Freedom House’s Freedom on the Net 2018 ranking China as the world’s worst abuser of internet freedom for the fourth consecutive year. The report also emphasises that ‘a cohort of countries is moving toward digital authoritarianism by embracing the Chinese model of extensive censorship and automated surveillance systems’. The development of ICT infrastructure able to enforce cyber sovereignty on the African continent raises a red flag in the long term. Some experts predict that two versions of the internet — following the US and Chinese conceptions — will emerge in a decade’s time. If this happens, Huawei’s digital infrastructure in Africa will align with the Chinese version. Dire consequences for Africa’s transitional democracies would come in the form of regulation of online freedom of expression and political pluralism. Huawei’s ICT infrastructure may be deployed to advance digital authoritarianism on the African continent. Huawei’s 5G network will remain vital to Africa’s ICT sector in the short-to-medium term. But in the long-term, it could hold troubling consequences for Africa’s transitional democracies. The rise of a hegemonic Chinese internet may result in the reproduction of digital authoritarianism in Africa. Rather than demonising Huawei, which may not attract support in Africa, the United States and its allies should engage with media, civil society organisations and academics on the continent. Through these diverse engagements, the West can exert pressure on African policymakers to come to terms with the long-term implications of Huawei’s network. Emeka Umejei is a Visiting Assistant Professor in Communication and Multimedia Design at American University of Nigeria. It’s a sign of how assured most analysts are that Indonesia’s president, Joko Widodo (Jokowi), will be re-elected this week that debate is underway about what legacy the former mayor and entrepreneur will leave for Southeast Asia’s most populous country given another term. Opinion polls released by the most professional survey firms all show Jokowi with a comfortable lead in the run-up to the election. On Wednesday 17 April the presidential elections will, for the first time, be held concurrently with elections for the national parliament and for legislatures in Indonesia’s provinces, cities and districts; all told, 193 million voters will be able to choose from among 245,000 legislative candidates. But they’ll only be able to choose one of two men to be their next president — and they’re the same two who faced off last time. Once again, Jokowi’s challenger is the populist strongman and former general, Prabowo Subianto, son-in-law of Indonesia’s authoritarian-era President Suharto. Voters’ choices are limited because Indonesia’s electoral laws include a ‘presidential threshold’, whereby presidential aspirants must gain the support of a coalition of parties controlling 20 per cent of the seats in the national parliament or 25 per cent of the popular vote to be eligible to stand. Indonesians are increasingly critical of the presidential threshold, which enables party powerbrokers to keep the field closed to newcomers. Indonesia’s open party list system for choosing legislative candidates, meanwhile, contributes to a rampant culture of vote-buying at the grassroots. After the election, we can expect renewed discussions about whether Indonesia’s electoral system is encouraging the variety and quality of candidates demanded by an increasingly diverse and sophisticated electorate. Indonesia’s challenges need to be seen in perspective. These elections are occurring at a time when democratic political systems across the Asia Pacific are caught in the global tide of scepticism about democratic norms and institutions. Indonesia’s own neighbourhood has recently been the stage for coups, crackdowns, and crimes against humanity. Despite worries that religious identity politics are coming to dominate Indonesian politics, when it comes time Indonesians want much the same things as voters the world over: jobs, services, and security. Jokowi’s popularity, despite the opposition’s attempts to undermine confidence in him by appealing to religious tensions, owes much to his unremitting focus on delivering tangible benefits to voters. It’s thus reasonable to see Wednesday’s election as another milestone in a success story for both democratisation and sound economics. After the 1997–98 financial crisis laid waste to the economy, successive generations of technocrats have overseen prudent macroeconomic management and laid the fiscal groundwork for politicians to woo voters with new government programs. In Jokowi’s case this has meant bankrolling a nationwide infrastructure program and putting some flesh on what were, until recently, the bare bones of Indonesia’s social safety net. The picture is less positive when Indonesia’s political development is benchmarked with what the country can, and should, be achieving if leadership were more principled. In this week’s lead article, Liam Gammon argues that while Jokowi still represents the best option for Indonesia on Wednesday, he’s not the risk-taker that Indonesia needs to fix the country’s corrupt and sclerotic political institutions, bureaucracy and law enforcement apparatus. Under Jokowi, he writes, ‘institutional reform and human rights languish in the too-hard basket’. 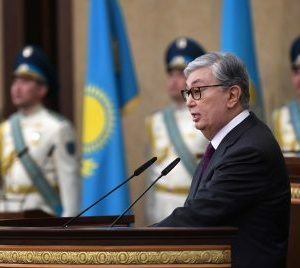 The President’s cautious approach to politics has seen him reluctant to go out on a limb for reformist initiatives, instead hoarding his political capital to spend on his signature development programs. More concerning still is what Gammon and other observers have interpreted as the increasingly illiberal climate under Jokowi. This trend has much to do with factors out of the president’s control, but some of it is due to his own treatment of political adversaries. When forced into a political corner, Gammon writes, the government has shown that it ‘is not above resorting to hard-knuckle tactics and legal harassment to reinforce the President’s electoral position‘. Meanwhile, Jokowi’s opponent, Prabowo, has ramped up his campaign to discredit the election commission (KPU), with allegations of vote-rigging and ‘massive, structured systematic cheating’. This is a reversion to the form of Prabowo’s last challenge to Jokowi when he also cried foul in the face of electoral defeat and tried to insinuate grounds for challenging the electoral outcome. KPU has admitted problems with the voter list and pledged to work continuously on updating it until election day. The Election Supervisory Board (Bawaslu) has backed KPU. While the election process has not been free of problems, there is no evidence of systematic fraud. Even his critics would acknowledge that whether Jokowi leaves office this year or at the end of a second term in 2024, he will have a good story to tell on Indonesia’s economic development. It would be a pity if the president’s more enduring legacy is erosion of the hard-won gains of Indonesian democratisation in the pursuit of political advantage. But certainly, whatever the problems, that legacy is in much safer hands with the cautious Jokowi than with the populist Prabowo. 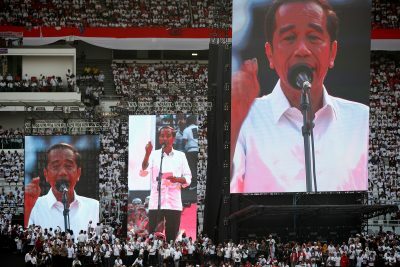 When Joko Widodo was first a candidate for Indonesia’s presidency five years ago, one might have looked to his successful career in local government for clues as to how he would lead Southeast Asia’s biggest economy. When he was mayor of Surakarta city and governor of Jakarta, Jokowi — as he’s known in Indonesia — took political risks to combat corruption and improve public services. Many hoped that the reformist brand of populism he pursued in these regions would be a blueprint for his presidency. That track record turned out to be an imperfect guide to the sort of president Jokowi would be. Almost as soon as he was sworn in, Jokowi began to disappoint the reformist voters who backed him in the 2014 election. He spent little of his political capital on addressing past human rights abuses and reducing the corruption that pervades state institutions. But he has earnt praise for getting badly-needed infrastructure projects up and running and expanding the social safety net, although his policy agenda is often criticised for reinforcing the statist, protectionist tendencies that have long held back Indonesia’s growth potential. As he rose to national prominence after becoming governor of Jakarta in 2012, many within Indonesia’s elite resented the emergence of a politician who they saw as a provincial upstart. For his part, Jokowi has kept himself somewhat aloof from the powerbrokers he cuts deals with every day, distinguishing himself from his predecessors by being the first elected president who does not control a political party. He also hasn’t cultivated and promoted a class of cronies, at least to the extent that many Indonesian politicians typically do, choosing to maintain ad hoc and mutually expedient alliances with the small group of fixers, financiers and enforcers that surround him. He has seemed content to not put down roots in the political system. His leadership is characterised by a constant effort to play different elite factions off against each other, not allowing any one faction to dominate the others, or to overly dominate him. Political parties, the military, Islamic organisations and the police force have all received the ‘Jokowi treatment’: being given favours — or the cold shoulder — depending on how useful they are to the President in the political stoush of the moment. The result is a governing style marked by cutting deals with those whose support is electorally beneficial and a sometimes ruthless approach to dealing with recalcitrants. The recent disruption of anti-Jokowi protests, and a series of legal cases against anti-government activists, suggests that the Jokowi government is not above resorting to hard-knuckle tactics and legal harassment to reinforce the President’s electoral position. The question, then, is what Jokowi wants to use his power for, given that institutional reform and human rights languish in the too-hard basket. The answer is to be found in the high-profile infrastructure projects the President inspects and inaugurates nearly every day, and in the health care and cash transfer cards that Indonesians now carry in their wallets. 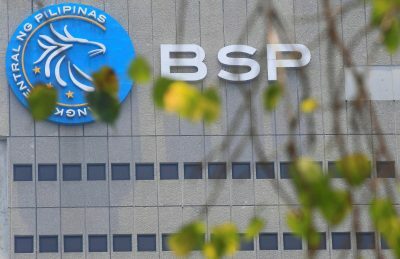 These infrastructure and social welfare programs are being implemented imperfectly, but few could dispute that ‘Jokowinomics’ is getting results. This, above all else, is where Jokowi sees himself leaving a legacy. Voters have responded appreciatively. Opinion polls, which are pretty reliable in Indonesia, suggest that on Wednesday he will beat his opponent Prabowo Subianto, the former special forces officer whom he defeated in the 2014 presidential election. Those familiar with Jokowi’s thinking say he is hellbent on achieving a landslide victory, like his predecessor Susilo Bambang Yudhoyono did when he was re-elected with over 60 per cent of the vote in 2009. Jokowi is unlikely to be that lucky. 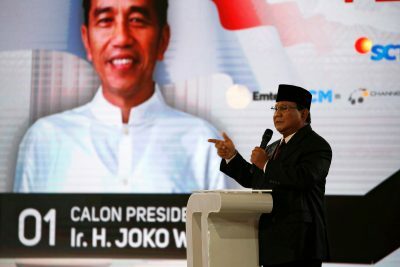 A last-minute scare campaign from religious conservatives, who have long sought to sell Muslim voters on the idea that the President is hostile to Islam, will likely cost Jokowi some votes. So will a small but growing movement of progressive voters refusing to vote at all out of disgust with Jokowi’s broken promises of reform. Even allowing for these factors, a victory for Prabowo looks unlikely. That is a good thing for Indonesia and its neighbours. For all his shortcomings, Jokowi is a practical and predictable politician. Prabowo, on the other hand, is an authoritarian ideologue with a volatile personality. When faced with domestic political trouble or a diplomatic crisis, he could well fall back on the demagogic nationalist appeals that are his trademark. Australia and the world, then, should look upon Jokowi’s re-election as the better outcome, something that would lock in stability, pragmatism, and predictability on the economy and foreign relations. The atmosphere of polarisation between the Jokowi and Prabowo camps that has pervaded Indonesian politics since 2014 would also fade somewhat as Prabowo’s party allies seek to cut deals with Jokowi in exchange for representation in the ministry, and the access to the spoils of government that accompanies it. Still, there are downsides to Jokowi seeing a good result on Wednesday as a vindication of his developmentalist policies and hard-nosed political tactics. Determined to leave an economic legacy, Jokowi will understandably be driven by an impulse to centralise more political authority in his own hands. The central question for the next five years, then, is how much Jokowi is willing to sidestep democratic norms to get there. Liam Gammon is a research scholar in the Department of Political and Social Change, College of Asia and the Pacific, The Australian National University and editor of the ANU’s New Mandala website. He is also a member of the East Asia Forum Editorial Board. As Prabowo Subianto’s hopes of winning Indonesia’s 17 April presidential election appear to have faded, his campaign has ramped up efforts to discredit the election. This is nothing new for Prabowo — five years ago he claimed ‘massive, structured and systematic cheating’ and threatened to withdraw from the election, only to have his challenge thrown out by the Constitutional Court. Then, his claims of unfairness came only after the Electoral Commission (KPU) had announced the official result. This time, his team have floated accusations of dodgy voter lists and plans to rig the vote count weeks before polling day. All reputable opinion polls suggest the electoral outlook for Prabowo and his running mate Sandiaga Uno is grim. Incumbent Joko ‘Jokowi’ Widodo and his running mate Ma’ruf Amin have maintained a double digit lead in even the closest of polls, consistently polling in the low to mid 50s. At the same time, a March 2019 Indikator poll showed each of Prabowo’s coalition partners at or below their 2014 vote count, with the National Mandate Party (PAN) polling well below the electoral threshold of four per cent. Predictably, Prabowo has questioned the reliability of these polls, asking attendees at his massive Jakarta rally on 6 April, ‘Do you want to be continually cheated? 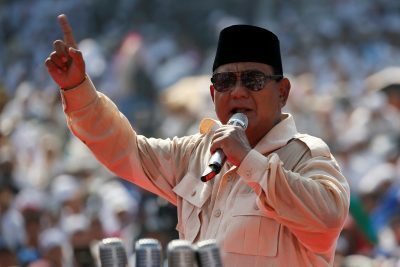 Do you believe the surveys?’ Further muddying the waters, Prabowo’s camp has claimed their own internal polling shows the former general ahead by 62 to 38 per cent. Dubious pollsters such as Puskaptis, an organisation which in 2014 falsely claimed that Prabowo had won the election, have also released results showing him in front. More prominent though in Prabowo’s recent campaign rhetoric have been efforts to discredit the work of the electoral commission ahead of polling day. Such efforts fall into two categories: allegations floated directly by members of Prabowo’s campaign team and social media hoaxes. For example, his campaign team has claimed that the voter list contains 17.5 million dubious voters sharing just a few different birthdays and that Jokowi will be installed as president even though Prabowo will win the popular vote. Prominent Prabowo supporters such as his brother Hashim Djojohadikusumo and former PAN chairman Amien Rais have also sought to intimidate Indonesia’s election commission by threatening mass protests, a legal challenge at the Constitutional Court and even a complaint to the United Nations. Meanwhile, social media hoaxes have claimed that seven containers of pre-filled ballot papers favouring Jokowi were stacked at Jakarta’s port and that KPU servers had been preset for a Jokowi victory. In another online campaign, social media influencers supporting the Prabowo camp sent out an SOS to international observers to supervise the 2019 election in order to guarantee its integrity. Certainly, Indonesia’s election campaign has not been entirely free of irregularities or controversies. Recently, reports about stray ballots marked in favour of Jokowi emerged from Malaysia — where around 600,000 registered voters live — but the ballots’ authenticity remained unclear at the time of writing. The KPU had already admitted problems with the voter list prior to this, but denies the allegations of systematic fraud. 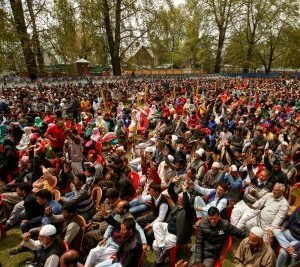 Rather, it has pledged to work continuously on updating the voter list until election day. The Election Supervisory Board (Bawaslu) has also backed the KPU and made it clear that while minor irregularities have indeed occurred in the preparation of the voter list, there is no evidence for systematic fraud on Jokowi’s behalf. The polls available have also shown little sign that voters believe the claims of unfairness. 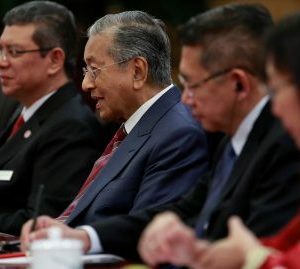 Recent surveys by Saiful Mujani Research and Consulting (SMRC) and Indikator — albeit conducted prior to reports of the Malaysia case — revealed an overwhelming majority of voters have confidence in the KPU’s ability to conduct the election professionally. Disaggregated results from the Indikator poll demonstrate strong confidence in the KPU and Bawaslu even among Prabowo voters. So what are the main goals of the Prabowo camp in raising these allegations? There are at least three potential reasons behind this campaign strategy. First, Prabowo might hope to sway undecided voters by building an overall narrative that the Jokowi administration is dishonest and will do anything to be re-elected. This narrative is tied to earlier accusations that the government was unfairly targeting and prosecuting opposition figures, mobilising village heads and bureaucrats for the campaign, and using misleading statistics to make its performance in government look more impressive. Second, the spread of fabricated polls could lay the groundwork for a potential legal challenge after the election, either from Prabowo himself — in case the final result in the presidential election is narrower than most polls are currently predicting — or from one of the parties in Prabowo’s coalition that are at risk of failing to clear the four per cent threshold. Third, Prabowo might be hoping to build up his threat potential in order to pressure Jokowi into protecting his interests if he loses the election by a margin so large that a legal challenge is futile. Despite the polarising effects of the campaign, Indonesia’s long tradition of promiscuous powersharing makes it entirely possible that the two men will seek to collaborate after the election if Jokowi wins a second term. For Prabowo, such collaboration is likely to be more appealing if he can negotiate from a position of relative strength — hence his provocative actions towards the end of the campaign. Whether Prabowo’s efforts will in the end have the desired effect remains to be seen. What is certain though is that after an initially subdued campaign, the last few weeks once again revealed Prabowo’s true colours. Election day therefore shapes up as another important fork in the road for Indonesian democracy. Dave McRae is Senior Lecturer in the Asia Institute at the University of Melbourne and a co-host of the Talking Indonesia podcast. Dirk Tomsa is Senior Lecturer in the Department of Politics, Media and Philosophy at La Trobe University in Melbourne and a co-host of the Talking Indonesia podcast. The digital economy is expanding rapidly in Asia, boosting growth and economic opportunities at a time of otherwise disappointing global productivity growth. How then does the digital economy affect opportunities for women to participate in the workforce? Between 2000 and 2016 internet users in Asian countries increased from around 6 per cent to almost 54 per cent of the population. This was driven largely by mobile phone penetration, which increased from around 13 subscriptions per 100 people in 2000 to 129 subscriptions per 100 people in 2016. At the same time women’s workforce participation increased across the region, with the average participation rate rising from around 45 per cent of the female population in 2000 to 46.9 per cent in 2016. Perhaps unsurprisingly we find a significant positive association between internet use and women’s workforce participation. Indeed, our most conservative estimate suggests that growth in internet use can account for an amount equivalent to all of the increase in women’s workforce participation in Asia between 2000 and 2016. However, this result does not necessarily imply that internet use is the cause of increased participation. Some of the increase in internet use in the region is potentially driven by greater levels of women’s workforce participation. Internet use increases the pace of knowledge and technology transfer across borders and helps raise productivity. The World Bank estimates that a 10 percentage point increase in internet use is associated with a 0.77 percentage point increase in GDP growth in high-income countries, and a 1.12 percentage point increase in low and middle income countries. Rory Truex, political scientist from Princeton, argues that the rote proceedings and staged appearance of the Two Sessions belie the real political significance of the NPC, formally the highest organ of state authority in China. 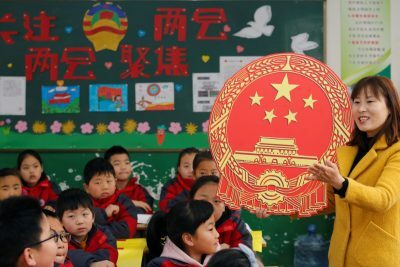 The Chinese Communist Party (CCP) rewards NPC delegates who, throughout the year, make suggestions that transmit citizen preferences on non-sensitive political issues, such as environmental protection, to central policymakers. The NPC serves as an information feedback mechanism for the CCP to better ‘serve the people’, placate anti-government sentiment at the grassroots and address grievances from constituencies. It achieves what Truex calls ‘representation within bounds’. But who does the NPC actually represent? Who are the 2975 NPC delegates who descended on Beijing this March? How do their demographic characteristics compare with the 375 policymakers who comprise the CCP’s all-powerful Central Committee (CC)? Do ethnicity, gender, age and place of ancestry correlate with how far one can go in Chinese politics? The CC and the NPC have quotas ensuring some equality in the representation of officials who work in different provinces. But many senior officials are not from the provinces in which they work, so officials’ geographic backgrounds are not necessarily equally represented. For every CC and NPC member, the government publicises their ‘place of ancestry’ — jiguan — which regulations define as ‘the long-term residence of one’s paternal grandfather’. Some jiguan are significantly overrepresented or underrepresented in both institutions. CC members with paternal ancestors from the wealthy provinces of Zhejiang, Jiangsu, Shandong and Beijing are overrepresented by at least 50 per cent relative to their populations. Shandong, China’s second-most populous province, enjoys jiguan representation almost double its relative population size. Shaanxi, the provincial jiguan of President Xi Jinping, is overrepresented by 25 per cent. NPC representation is on average somewhat more equitable than the CC. But some patterns are reversed in the NPC: politicians with ancestry in Beijing, Shanghai and Tianjin are significantly underrepresented compared to the CC and there is much better representation of those from Anhui, Shanxi and Sichuan provinces. Each of China’s 55 officially recognised ethnic minorities, together constituting 8.5 per cent of the national population, have at least one NPC representative. Even three ethnicities with fewer than 5000 people — the Tatars, Lhoba and Gaoshan — each have an NPC delegate. But in the CC, 38 of the 55 minorities have no representation, including 8.4 million Tujia people. Even some of the 18 ethnicities with CC members remain underrepresented relative to their size, such as the Miao, Manchu, Yi and Zhuang peoples — whose numbers range from 8.7 million to 16.9 million. Western Chinese minorities such as Tibetans, Uyghurs, Mongols and Hui, are actually overrepresented in the CC. But such appointments are probably intended to co-opt local elites, as those regions’ allegiances to Beijing are a perennial CCP preoccupation. That Han Chinese make up 85.3 per cent of NPC delegates despite forming 91.5 per cent of the national population means almost every minority is overrepresented on the NPC. Gender is a different story. It is well known that Chinese female politicians tend to hit a glass ceiling and are significantly underrepresented in the CC. The CC is only 8 per cent female, with women comprising less than 5 per cent of full members. In the NPC, female membership is almost 25 per cent, still well short of equality but three times better than the CC. Female representation in the NPC actually narrowly beats the global average for women in parliament and does just better than the US Congress. Chinese politics is also ageist, in the sense that experience and seniority are often prerequisites for advancement. The average age of all CC members is 58.8 — it’s 59 for US congressional representatives — while for full CC members it is 61.2. NPC delegates are 53.8 on average, in line with the global average age for parliamentarians of 53. Still, the median age in China is 37, so young Chinese are significantly underrepresented, a phenomenon common around the world. What do these data tell us? The NPC is younger, more female and far more ethnically diverse than the CC — although both fall short of equal representation for women and young people. It seems nearly impossible for ethnic minorities and women to reach the uppermost rung of Chinese politics. The greater demographic diversity found in the NPC seems to support Truex’s theory that it is an institution that the CCP uses, in the absence of free elections and widespread polling, to collect valuable information about its performance from a wide cross-section of society. Perhaps a more fundamental finding is that there may be significant inequality of political opportunity for Chinese whose ancestors come from different parts of China. Proportionately far more NPC and CC members trace their lineage to the wealthy east coast than to the poorer southern provinces. So, the person you are most likely to see in the halls of Chinese political power is a fifty-something Han Chinese man who considers himself an east-coaster. A more detailed version of this article originally appeared here at MacroPolo. Data for CC members comes from The Committee, MacroPolo’s digital interactive on Chinese elite politics. 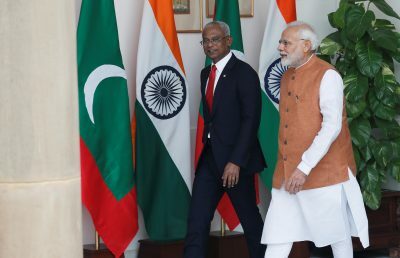 India–Maldives relations under Maldivian President Ibrahim Mohammed Solih started well. But sustaining the positive momentum will require hard work given complicated domestic politics, external relations and strategic interests. The bilateral engagement confronted numerous challenges after the first democratically elected government of the Maldives led by Mohamed Nasheed collapsed in 2012. Since then the country’s political instability has challenged overall security of the Indian Ocean by increasing radicalisation —over 200 Maldivians reportedly joined the Islamic State —and by the granting of non-transparent permissions for foreign investment. Indian Prime Minister Narendra Modi displeased the previous Maldivian government led by Abulla Yameen, in power from 2013 to 2018, by refusing to visit and his government calling for the release of political prisoners and improvements in the rule of law. The Maldives’ refusal to renew a contract of military helicopters gifted by India and trade diversification demonstrates its dissatisfaction. But bilateral ties improved after the September 2018 elections ended the Abdulla Yameen government. Ibrahim Mohammed Solih, leader of the Maldives Democratic Party (MDP), was elected President with the support of a coalition. The change of government was welcomed by the international community and generated hopes for an end to corruption, political repression and human rights violations. The change of government in the Maldives allowed both countries to positively redefine bilateral relationships, as indicated by high level visits. Modi visited the Maldives in September 2018 while Solih made a state visit to India in December 2018. Statements made during the visits underscore the importance of enhancing bilateral relations in trade, energy, security, connectivity, socio-economic developments and cooperation in regional and multilateral forums. US$4 billion of financial assistance was announced by India for socio-economic development programs in Maldives in an attempt to improve relations. India also announced a US$800 million line of credit to finance infrastructure projects during the visit of External Affairs Minister Sushma Swaraj to the Maldives in March 2019. India’s aid to the Maldives increased from Rs 125 crore (US$18.1 million) in 2018–19 budget to Rs 575 crore (US$83.3 million)in 2019–20. A visa facilitation agreement came into force in March 2019 to boost people to people contacts. Other important agreements include implementation of high-impact community development projects through local bodies and collaboration in energy efficiency, renewable energy, information and communications technology, and electronics. Solih is speaking of an ‘India first’ policy while India is promoting a ‘neighbourhood first‘ policy. 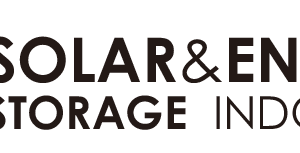 While these appear mutually agreeable, the challenge lies in implementing them, understanding each other’s security and strategic concerns and providing room for dialogue to address those concerns. India’s assistance in setting up a Coastal Surveillance Radar System and participating in the second Defence Cooperation Dialogue in January 2019 aims at cooperation on maritime security and counter terrorism. The Trilateral Maritime Agreement between India, Sri Lanka and the Maldives is in place and trilateral military exercises are held on a regular basis. But to achieve greater results, both countries need to enhance regional cooperation by using common platforms such as the Indian Ocean RIM Association and the Indian Ocean Naval Symposium. Collaboration through the South Asian Association for Regional Cooperation is stalled due to India–Pakistan tensions. The Maldives’ reliance on China to develop more than US$2.5 billion in infrastructure projects and the resulting accumulation of foreign debt— 40 per cent of the country’s GDP of US$4.866 billion in 2017— is a concern for India. The Maldives supports the Belt and Road Initiative (BRI) and its debt payment to China alone is close to US$3.4 billion. India is also concerned about any possible future use of civilian facilities for military purposes by China. The Solih government’s foreign policy and internal political developments in the Maldives will play a role in determining the bilateral relations. The Maldives focusses on external relations to sustain its economy due to limited internal economic opportunities and dependence on imports for essential items. Demonstrating his willingness to engage with the world in a balanced manner, Solih reversed the Yameen government’s withdrawal from the Commonwealth and restored ties with Iran and Qatar. Solih will also not completely abandon China and has extended his support to the BRI. Former president Nasheed has been vocal against China and Saudi Arabia’s role in the Maldives, but the country is nonetheless looking towards India and Japan for investments to reduce its dependence on China. Pakistan and the United States could also be major trade and development partners. Internal political developments in the Maldives caused uncertainty for the Solih government. The coalition that brought Solih to power fell apart and contested separately in parliamentary elections that took place on 6 April 2018. The main MDP coalition partner — the Jumhoree Party — has aligned with Yameen’s Progressive Party of Maldives after Solih’s probing of corruption charges caused friction. Former president Yameen was detained on corruption charges and released. Solih was wary of a possible coup if the MDP failed to win a majority in Parliament. But having won the parliamentary elections with landslide majority, the time is right for MDP to broaden the horizon of bilateral relations. Despite strong evidence in favour of gender diversity in organisations, the number of women in boardrooms globally remains low. Patterns of women’s participation in Southeast Asian corporate governance offer critical insights into what needs to be done to harness the benefits of gender diversity in leadership. Gender-diverse workplaces enjoy higher levels of employee retention and satisfaction, greater productivity and increased creativity. Analysis of corporate boards in Southeast Asia points to a positive correlation between gender diversity in corporate governance and business performance. Data collected in Indonesia, the Philippines and Vietnam indicates that women directors are just as influential as men in corporate governance networks. Studies elsewhere show that gender-diverse top management teams lead organisations that are better able to weather business and economic crises. 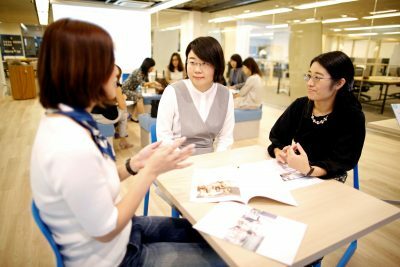 Similar data on the Asia Pacific shows that Japanese and South Korean women directors comprise only 5 per cent of boards. In most Southeast Asian countries, women occupy between 10 and 19 per cent of board seats. Australia and New Zealand are leaders in the region, with women’s corporate governance participation rates of around 22 per cent and 20 per cent respectively. But these remain far below the 50 per cent threshold representing equal participation. Policy and regulatory initiatives across the world have led to significant advances in female education participation and completion rates. The latest UN gender statistics show that more women than men attend tertiary education institutions in most major economies in Southeast Asia. Thailand has the highest ratio at 1.44 women-to-men (on par with Australia’s ratio of 1.43). The average proportion of women graduates in science, technology, engineering and mathematics degrees in Southeast Asia is around 37 per cent. This is higher than the comparable 32 per cent rate in Australia. Despite success in boosting education rates, women’s labour force participation rates (averaging at around 51 per cent in the Asia Pacific) remain consistently lower in Southeast Asia than men’s labour force participation rates (averaging at around 72 per cent). There are some notable exceptions in Southeast Asia — women’s labour force participation rates in Vietnam and Cambodia are 71 per cent and 77 per cent respectively, significantly higher than Australia’s 60 per cent rate. Countries that have legislated gender quotas on management boards tend to have higher women’s participation rates in corporate governance. Norway is a world leader in quota legislation and women occupy 47 per cent of board seats in that country. But recent studies show that the impact of quota legislation is mixed at best. Studies on Scandinavia show that some companies find ways to avoid complying with board quota requirements by changing their legal structure. Deeper investigations have also shown that while women occupy a significant proportion of board seats, in reality a minority of women — so-called ‘Golden Skirts’ — occupy multiple directorships in several companies. This has the effect of artificially inflating the rate of women’s participation in corporate governance. While legislating gender quotas for boards does have positive effects, the absence of regulation is insufficient to explain the gender leadership gap. Malaysia is the only country in Southeast Asia that has legislated board gender quotas. While the country has a higher rate of women’s participation in corporate governance (14 per cent) compared with other major economies in Southeast Asia, it is Vietnam that has the highest women’s participation rate in the region (19 per cent), which was achieved without imposing board gender quotas. Research drawing on data from Indonesia, Singapore, the Philippines and Vietnam suggests that the persistence of the gender leadership gap is explained by firmly rooted cultural norms and practices concerned with gender roles and expectations. Analysis shows that cultures where gender roles are less defined or less rigid tend to have more women on boards. Cultures where competence and performance are valued over status and where inclusiveness is fostered also have the most gender-diverse corporate boards. The lesson from these Southeast Asian countries is that informal institutions embodied in culture exert a powerful legitimising influence on the roles that women are able and expected to play in society. These deeply internalised expectations affect not only the decisions that women make with respect to their own career aspirations, but also underpin the organisational policies and regulatory frameworks that govern the socioeconomic activities of men and women. The first step to increasing gender diversity in leadership is to bring to light these culturally rooted gender biases, allowing gender stereotypes to be challenged both at home and in the workplace. This serves as a starting point for governments and organisations to establish the infrastructure and enabling mechanisms to better support the creation of gender-diverse organisations and leadership teams. Putting in place a strong regulatory infrastructure to encourage greater women’s economic participation is good, but it is not enough. There is a need to move beyond regulation and focus on changing the fundamental assumptions about women and men that exert a powerful but unconscious influence on women’s pathways to leadership. Sandra Seno-Alday is a Lecturer in International Business and an Executive Member of the Sydney Southeast Asia Centre (SSEAC) at the University of Sydney.